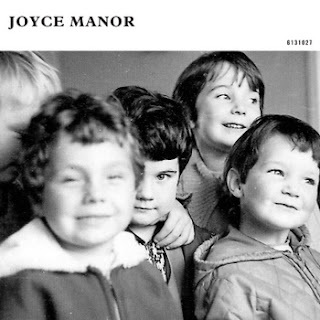 Joyce Manor play a messy and raw version of what can come off as sounding something similar to Archers of Loaf. It has that characteristic of landing somewhere between indie and pop punk. The guitar work is pretty creative and the drums have a very loose, open style which gives me a very interesting listen. Vocally, there's that gritty, almost off key sound that let's you know this is not for the masses persay (the vocals on "Leather Jacket" and "Ashtray Petting Zoo" remind me of "Reinventing Axl Rose"-era Against Me). There's a good amount of tempo changing here between songs. They do the mid tempo speed best as it seems to work well with their melodic harmonies. By the time I got to "Famous Friend" I had made up my mind that this was something I was probably going to be listening to on a regular basis well after this review. Some very good stuff here, with some catchy hooks that will get stuck in your head.